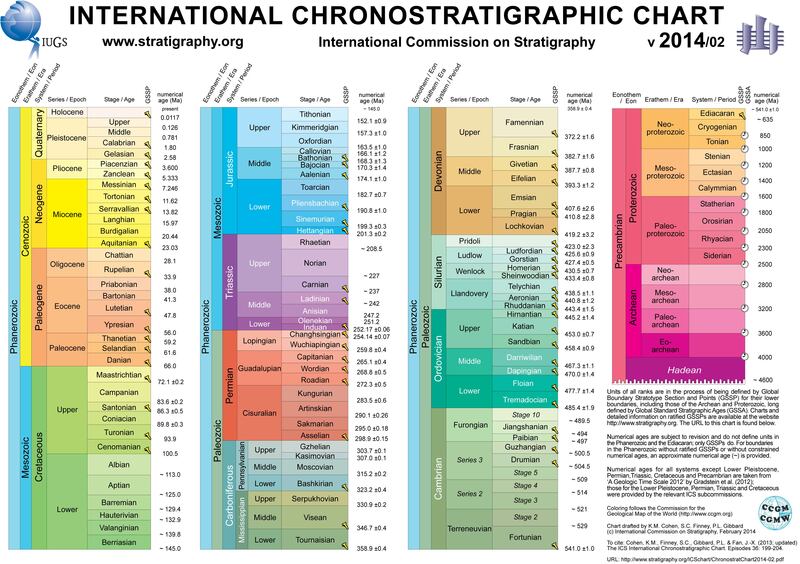 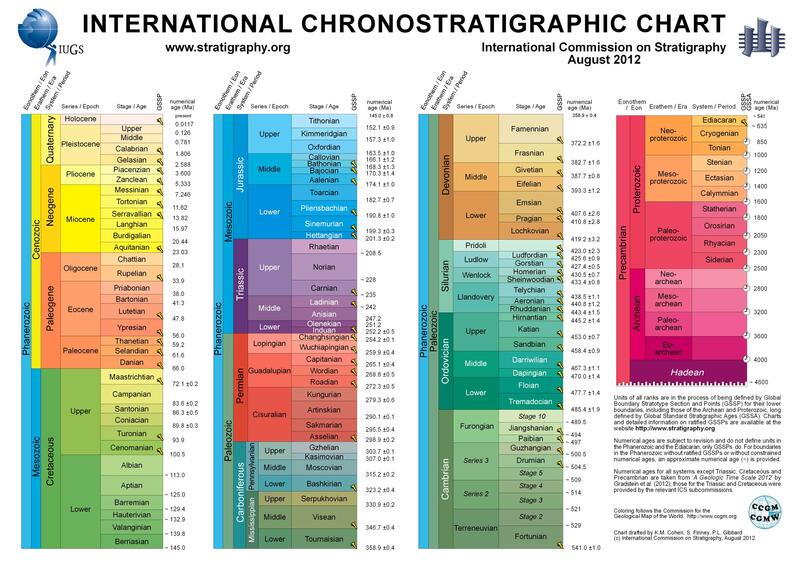 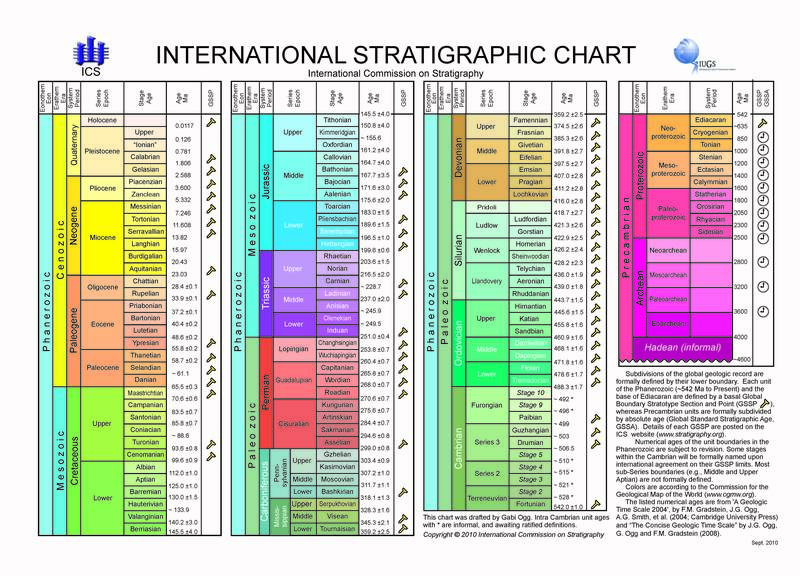 Click here (PDF or JPG) to download the latest version (v 2014/02) of the International Chronostratigraphic Chart. Translations of the chart: Chinese (v2013-01: PDF or JPG), Spanish (v2013-01), Portuguese (v2013-01: PDF or JPG), Norwegian (v2013-01: PDF or JPG), Basque (v2013-01: PDF or JPG), Catalan (v2013-01: PDF or JPG), French (v2012) and Japanese (v2012). 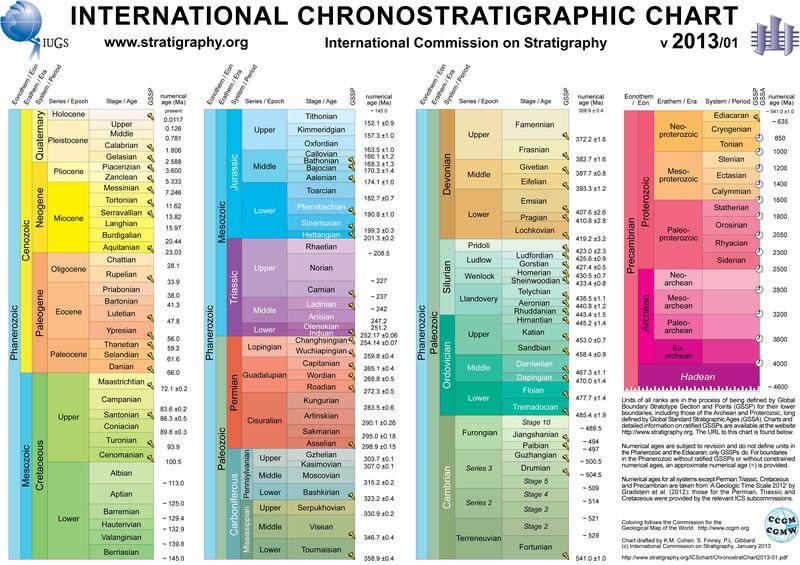 The old versions can be download at the following links: 2008 (PDF or JPG), 2009 (PDF or JPG), 2010 (PDF or JPG), 2012 (PDF or JPG), 2013/01 (PDF or JPG).